Being born in the early part of the eighties, the nineties are an extremely special decade for me. It was my era, the decade I became a teenager and came perilously close to my twenties. Certain things from that final decade of the millennium always conjure up special memories for me. The music, the technology, the movies but, above all, the television. It was the decade in which we met and fell in love with six coffee shop loving friends from New York. Joey, Ross, Chandler, Monica, Phoebe and Rachel all became fixtures in our lives as we followed their trials and tribulations, each of us wishing we could be the seventh friend. It was also the decade in which we became acquainted with Mulder and Scully from The X-Files, Ally McBeal, Buffy the Vampire Slayer, Frasier, and the Fresh Prince of Bel Air. All characters and shows we still know and love to this day. Closer to home we had This Life starring a young pre-Walking Dead Andrew Lincoln, Alan Partridge, Men Behaving Badly, Absolutely Fabulous, The Big Breakfast, and TFI Friday. In my house, Saturday night’s just weren’t the same without Noel’s House Party (complete with Mr Blobby). Classic television at its finest. So you see that without the nineties, we wouldn’t have had some truly great shows, shows we watch time and time again. Friends is a great example of a show that doesn’t get old. It may look a little dated but many of the themes addressed in that famous coffee shop are themes we can still identify with today. 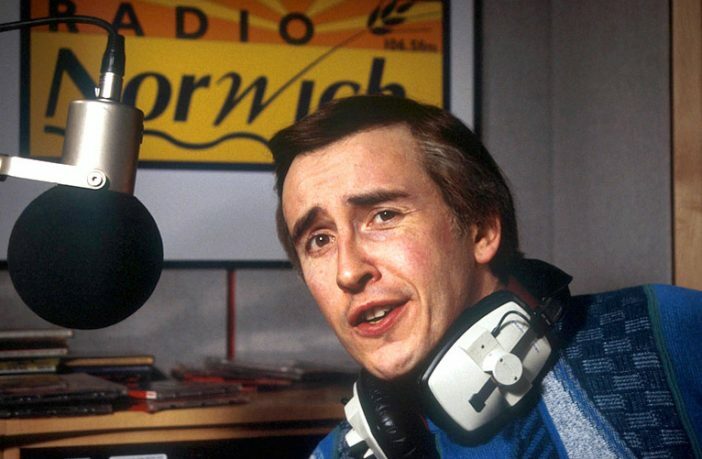 Alan Partridge as a failed celebrity trying to break back into the big time is the perfect caricature of someone (mentioning no names) who most probably exists today. It really doesn’t matter how old you are. Whether you were too young to actually enjoy the nineties in all their splendour, television of that decade is ingrained in us, the characters as family. We all wish we knew The Fresh Prince, were living across the hall from Chandler and Joey, or were drafted into the FBI to work with Mulder and Scully on the latest UFO sighting.